212 Governor Edward Nott Ct, James City County, VA 23188 (#10251432) :: Abbitt Realty Co. The one you have been waiting for. 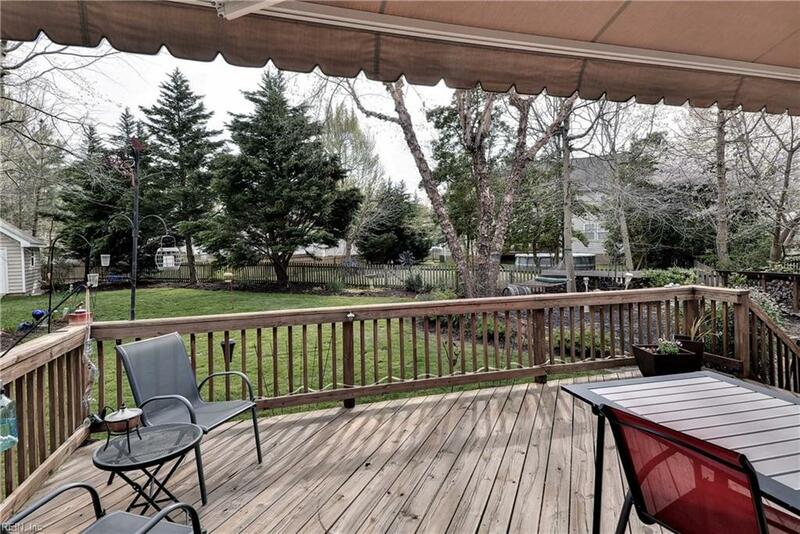 Nicely updated home situated on cul-de-sac with large level backyard with access to neighborhood trails. 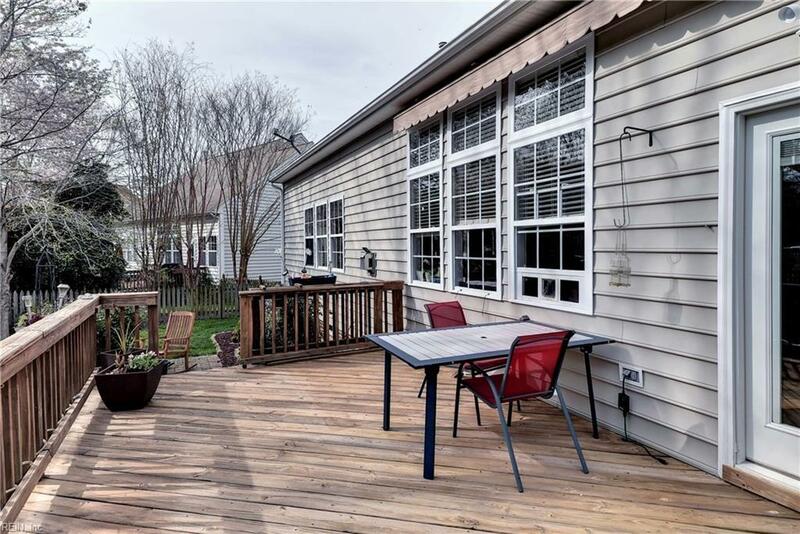 Enjoy quiet evenings on the large deck that offers a retractable awning for sunny days, over looking gardens and rubber mulch pit ready for the play set or hammock. 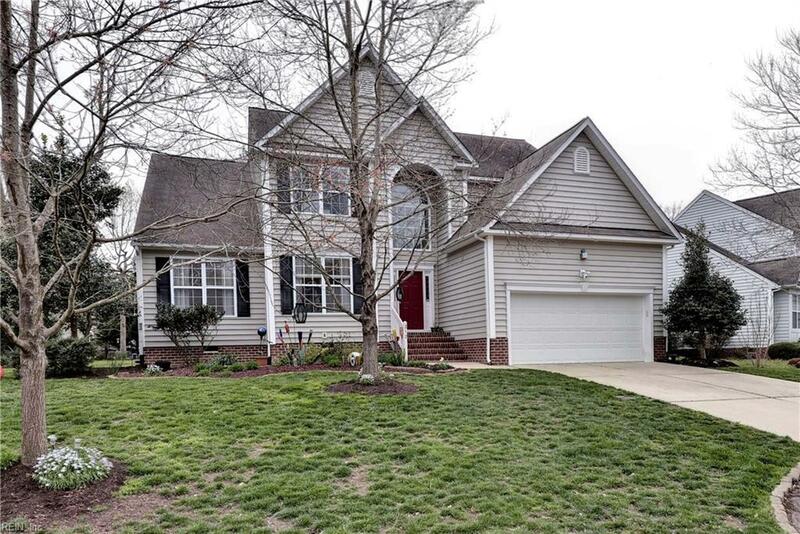 Inside you will find hardwoods throughout this four bedroom home with two full and one half baths. 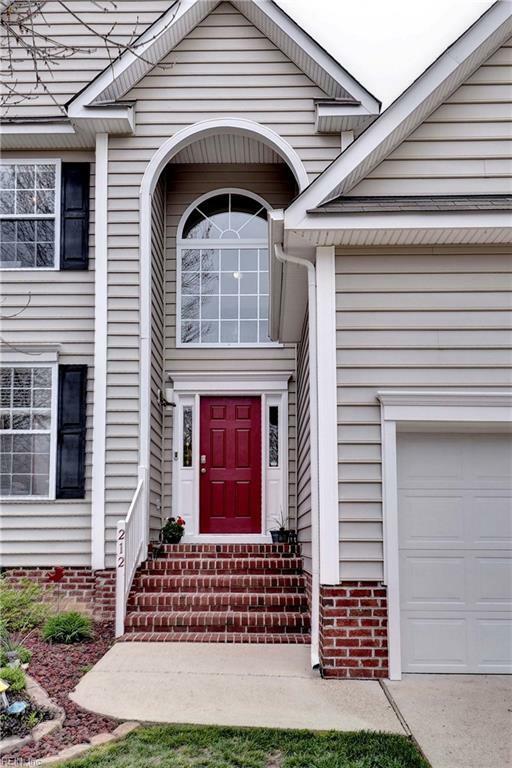 Offering a downstairs master, formal dining room, great room with gas fireplace, updated kitchen including granite, stainless appliances, touch faucet and more. So many details you wont find in other homes that make this one special include, expanded pantry closet, California closets in bedrooms, fan timer switches, built ins, and accent lights. There is also a bonus/flex room great for media, play, office, or workout. Convenient location to shopping, Rte 199, and William & Mary.